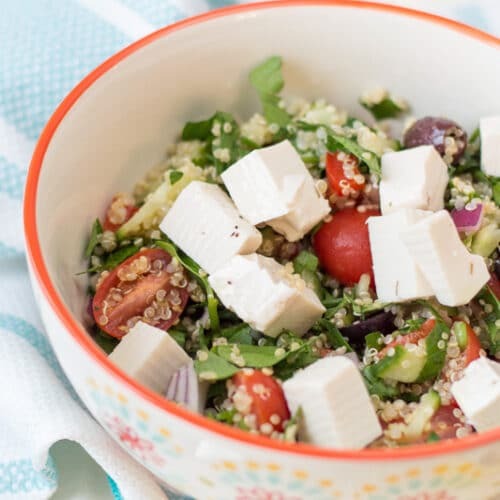 This vegan feta cheese is a delicious vegan substitute for traditional feta. 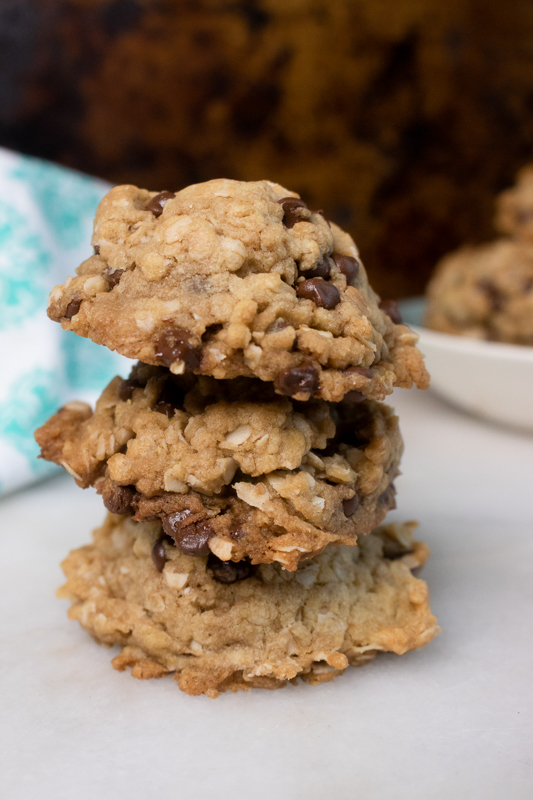 It has the classic briny flavor and crumbly texture we all love, but it’s 100% vegetarian, vegan, and dairy-free. As I’ve mentioned earlier on the blog, I had a chance to visit Greece last year for the sole purpose of scouting out the food scene and gaining some inspiration for a new series on vegan Greek recipes. I’ve already shared some creations like this vegan moussaka, healthy zucchini fritters, and this insanely good vegan baklava. But of course, who could make Greek food without feta cheese? One of the best meals I had in Greece was a big Greek salad, topped with a giant slab of feta cheese. And I couldn’t help wishing there was a dairy-free way of enjoying that incredible flavor. So this vegan feta cheese recipe was born! Wait. Is feta cheese vegan? No, of course not. Traditional feta cheese is a dairy-based product. But we’ll make our plant-based version from tofu so it’s 100% vegan friendly! 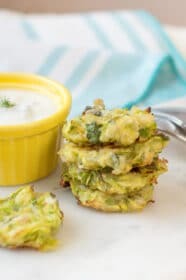 It’s a perfect vegan substitute for feta cheese. 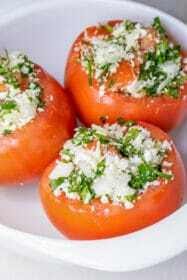 Feta cheese is a white cheese, commonly made in Greece, that has a great tangy kick because it’s made with a brine. 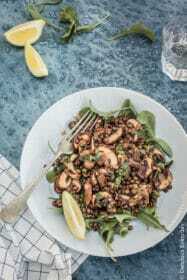 Typically it’s nice and salty and has a grainy texture that crumbles, which makes it perfect as a topping for salads and other dishes. It’s even used in many Greek pastries. Cheese pies are an iconic Greek food. YUM. As a long-time lover of feta cheese, I’ve tried all sorts of vegan alternatives. This tofu-based vegan feta cheese recipe is the best substitute I’ve come up with yet, in terms of both flavor and texture. 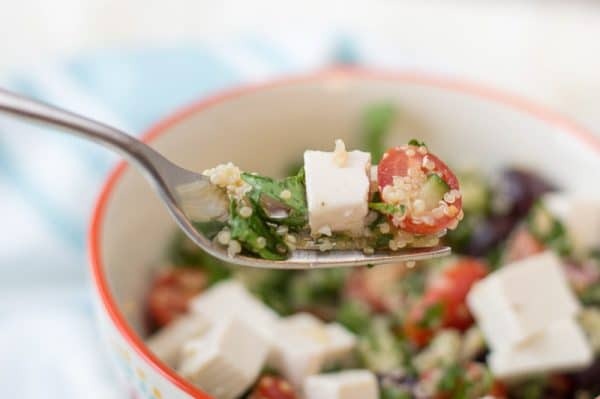 Another option, if you’re more interested in the salty flavor of feta, is to substitute some kalamata olives in your dish. The briny flavor mimics that of feta really well. 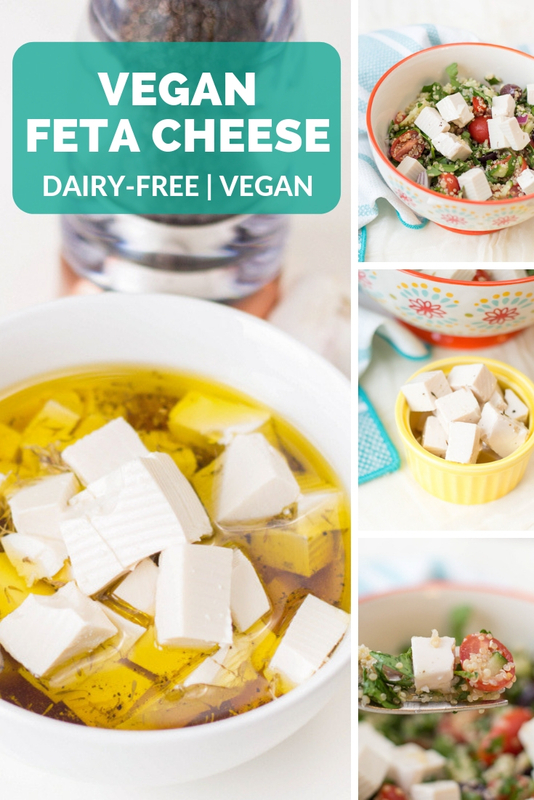 Now that you’re all prepped on how to use vegan feta cheese, let’s get started! 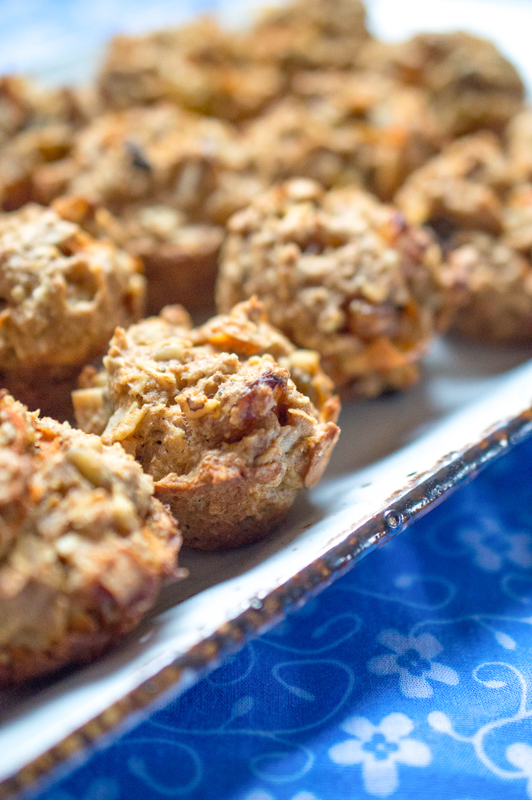 This is the type of recipe that takes minimal effort, but a bit of time. In total, you’ll need to set aside 4 hours for tofu draining, 10 to 15 minutes for actual preparation, and several hours (or overnight) for marinating. Obviously, you can prep it, leave it, and set an alarm or two throughout the process. First, we’ll start by draining the tofu. You’ll want to use an extra firm tofu for this recipe. Tofu holds a lot of liquid, but for our vegan feta cheese, we need to drain out all the water, in order to get a nice crumbly texture like real feta cheese. 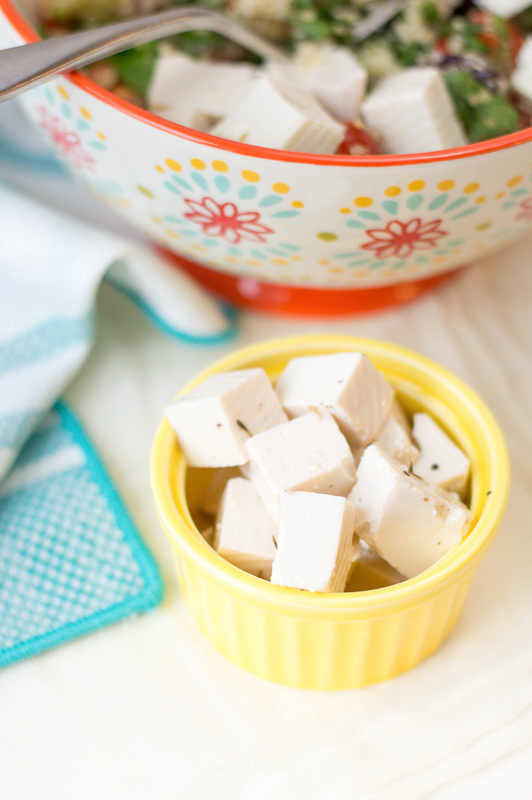 Plus, draining the tofu will help it absorb the marinade —which is what will give it that delicious feta-like flavor. 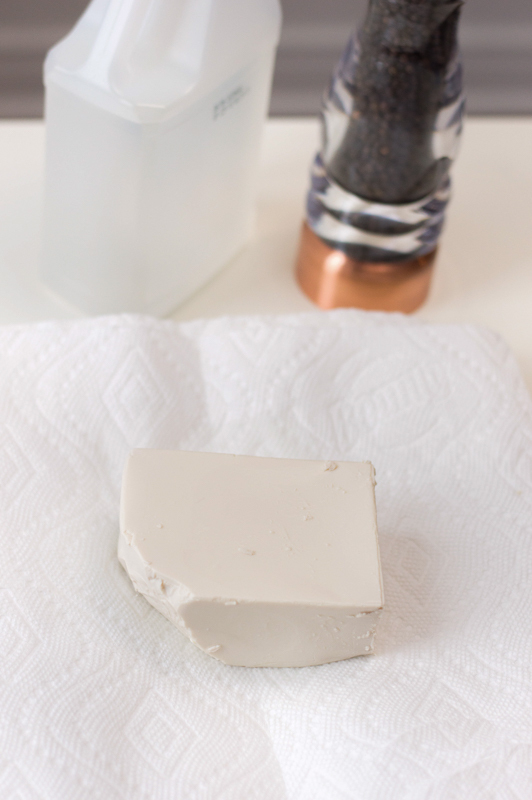 You can use a tofu press, or you can use my DIY method. 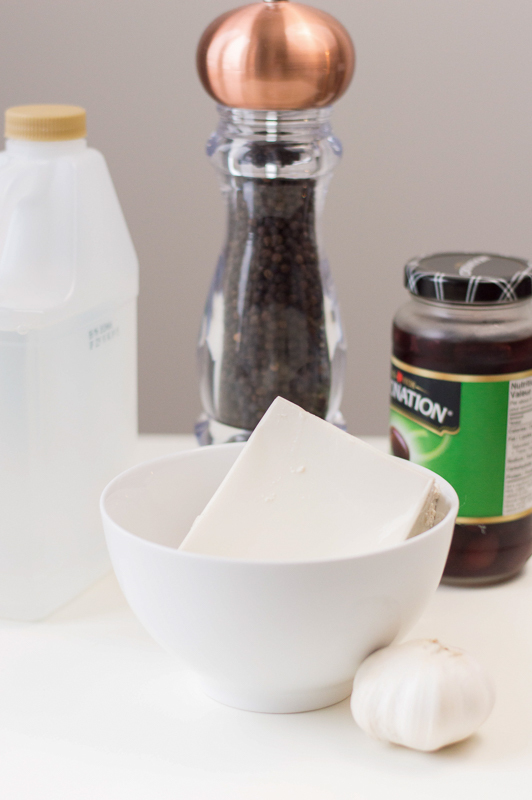 If you go for the DIY method, start by lining a plate with paper towels. 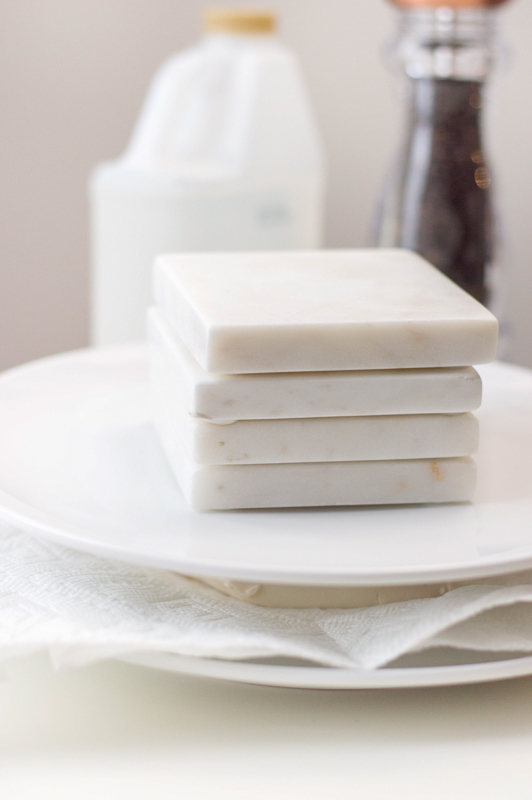 Place your block of tofu on top, and then add some paper towels on top of the block. Then grab a heavy object — like a book — and place it on top of the plate to weigh it down. I also like using my water kettle. I just fill it with water, and it’s nice and heavy, which flattens the tofu and presses all the water out. In the picture below, I used some heavy, marble coasters I own. It will take about 4 hours for the tofu to drain. You may want to check it every once in a while to see if water has accumulated. When it does, you’ll want to drain the water so it doesn’t get soaked up by the tofu. I’d suggest setting your timer for about every hour or so to do this. It’s a great project for a lazy weekend day. Then, you can slice the tofu block into 1/2 inch cubes. 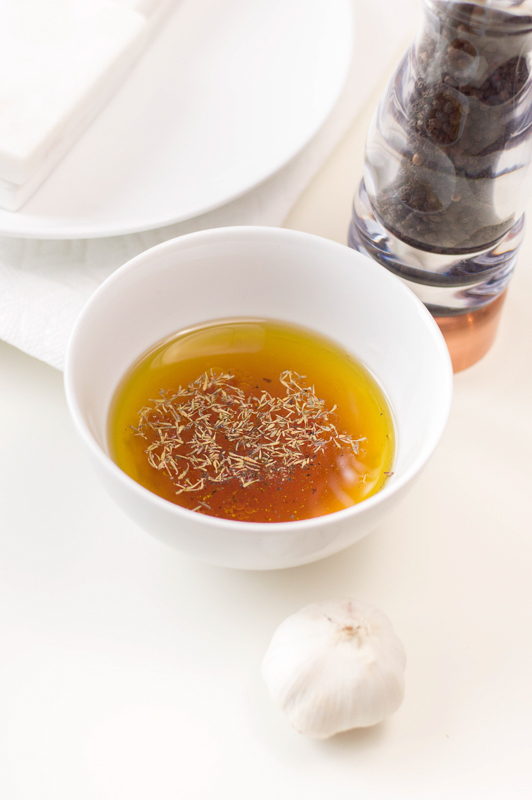 Then, to make the marinade, you mix all the rest of your ingredients in a bowl: olive oil, water, lemon juice and zest, white wine vinegar, salt, olive brine, garlic, oregano, basil, black pepper. If you don’t know what olive brine is, that’s just the juice from a jar of olives, preferably kalamata olives. I’d actually suggest making the marinade while the tofu is draining. I really like the flavors to be super strong, and leaving the marinade in the fridge for a while can help release the flavors before you put the tofu in. Then, toss the tofu cubes in the marinade. Make sure all the pieces get covered by the marinade so they can really soak up all the flavors. Then cover the bowl and put it in the fridge. It will work if you only put the marinade in the fridge for a several hours, but I suggest leaving it overnight. The longer the tofu is in the marinade, the more time it has to soak up the goodness of the marinade. You can also put mason jars of marinade and tofu in the fridge. I like doing this because then I can save it in the fridge for later and only use what I need for each meal. 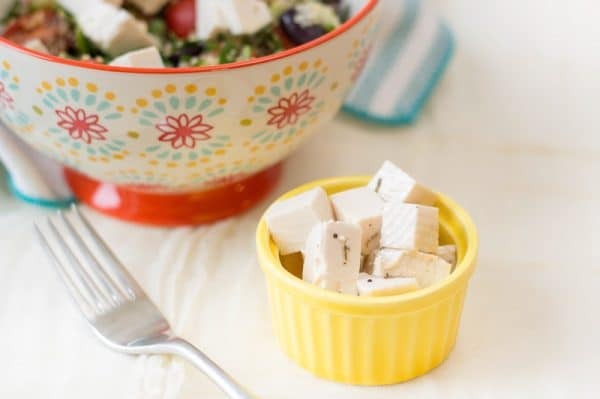 Whenever you decide the tofu is done marinating, remove the cubes from the marinade, and use it in place of traditional feta cheese! The olive brine is really the key ingredient for the marinade, as it gives the classic briny flavor of traditional feta cheese. I recommend using the brine from a jar of kalamata olives for best results. You can marinate the vegan feta cheese in mason jars instead of a bowl, and then just keep it stored in the fridge until you’re ready to use it. Draining the tofu is essential for getting good results. This is really simple with a tofu press. 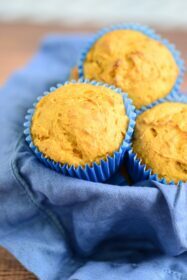 But there’s also a DIY method described in this recipe! 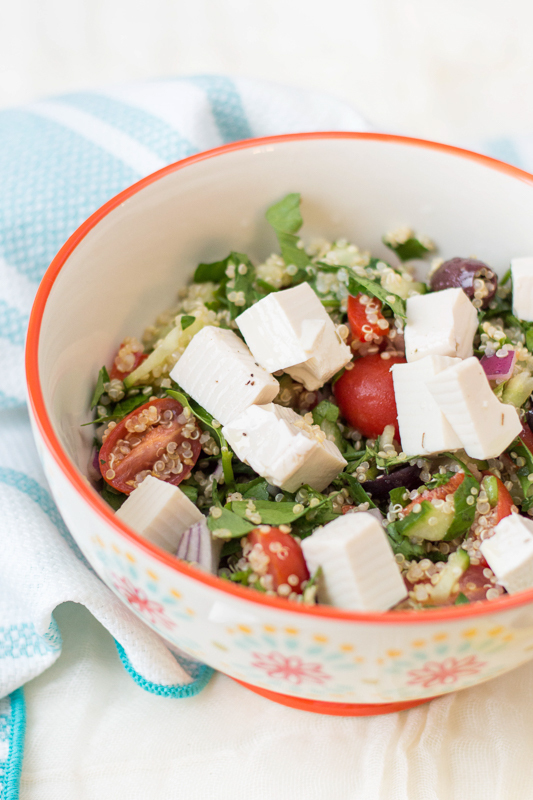 My absolute favorite way to use this vegan feta is served over a simple Greek salad. The trick to a perfect Greek salad? No lettuce. Seriously. 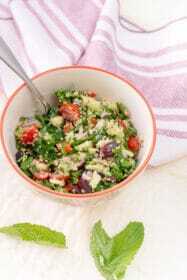 Just toss tomatoes, cucumbers, onions, and olives in a big bowl and top with this vegan feta, olive oil, and vinegar. Yum. 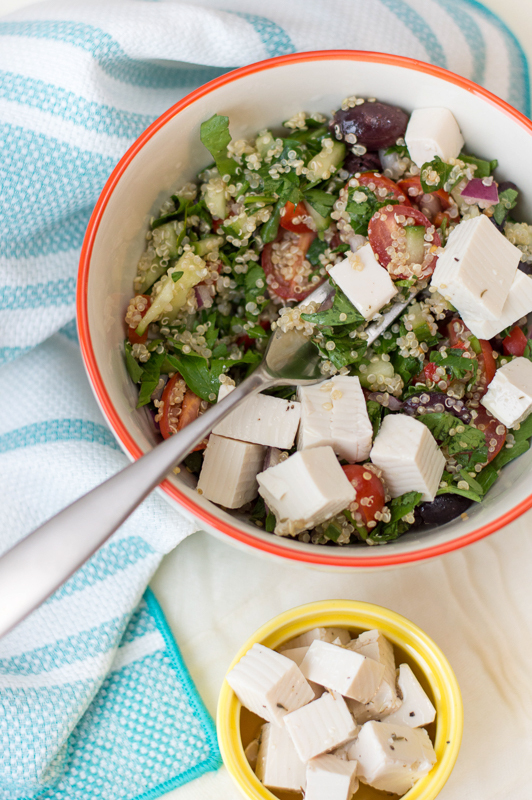 This vegan feta cheese is a delicious vegan substitute for traditional feta. 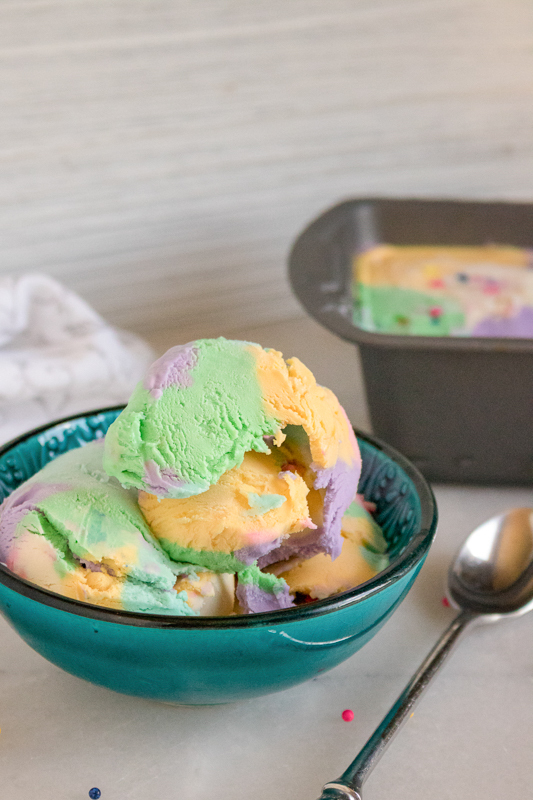 It has the classic briny flavor and crumbly texture we all love, but it's 100% vegetarian, vegan, and dairy-free. Drain the tofu. Use a tofu press or follow the following directions. 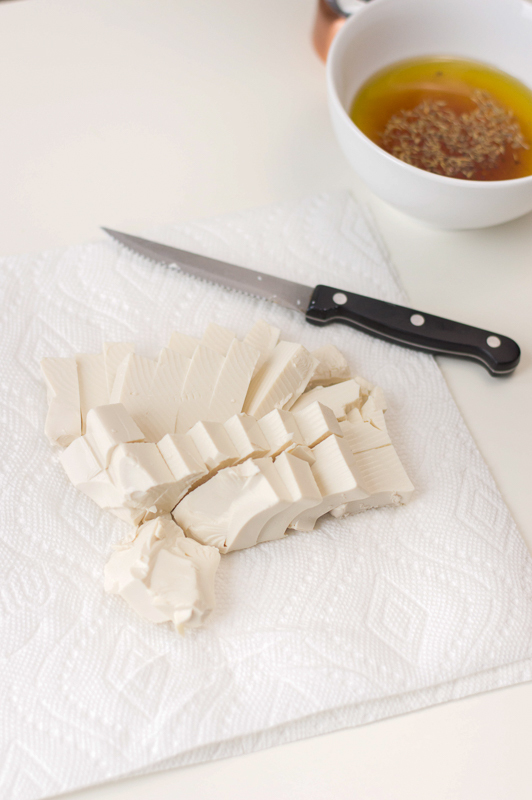 To drain tofu, line a plate with paper towels, and place the block of tofu on top. Place another layer of paper towels on top of the tofu and top with a second plate. Place a heavy object on top of the plate to weigh it down. It will take about four hours to press all the liquid out of the tofu. Check on it occasionally and drain the water that accumulates. When the tofu is drained, chop into ½ inch cubes. Mix all of the remaining ingredients in a bowl to form the marinade. 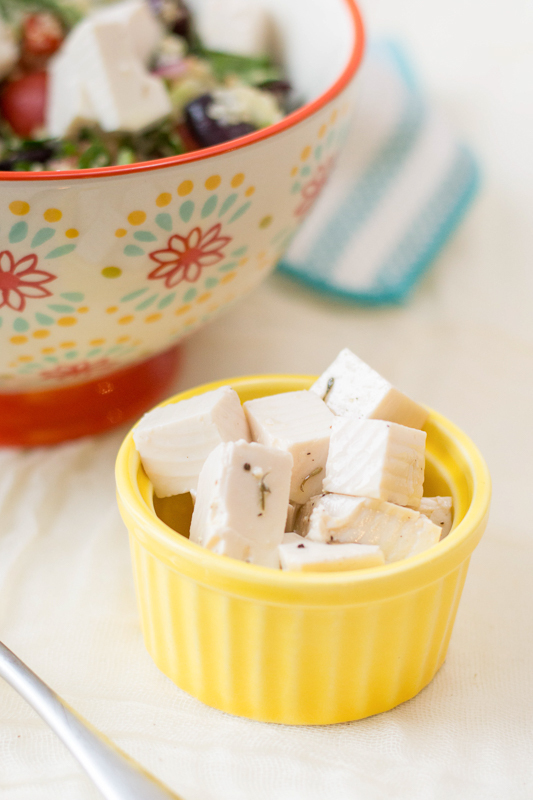 Toss tofu cubes in the marinade. 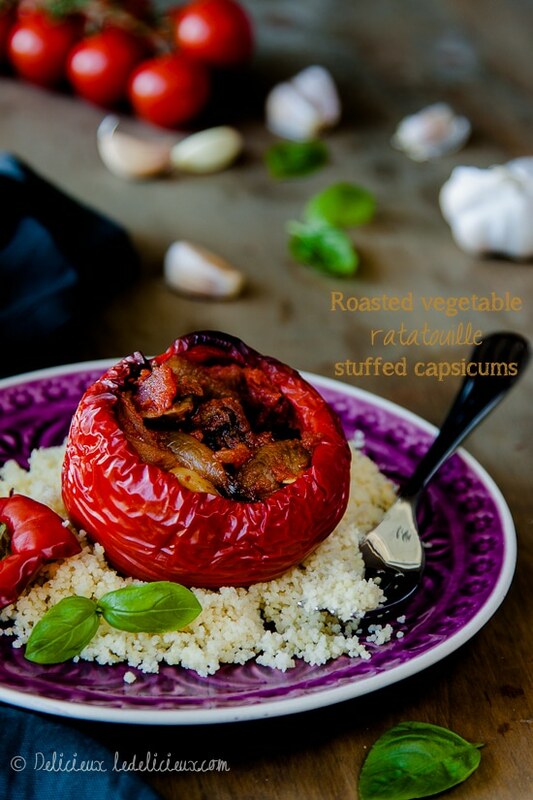 Cover and refrigerate for several hours – preferably overnight. 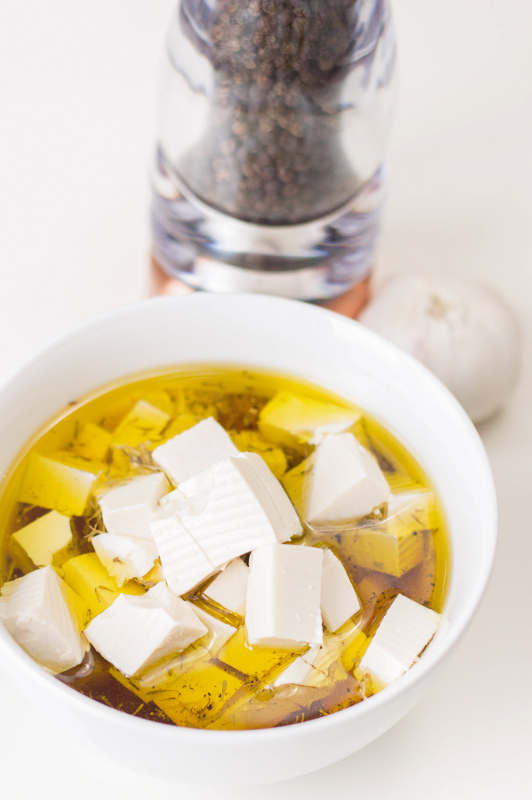 Remove “feta” cubes from marinade, and use in place of traditional feta cheese. How long would the marinated tofu be good to stay in the fridge? It should be good for 2-3 days at least. Probably a bit longer would be okay, but I try to be cautious when it comes to food safety!